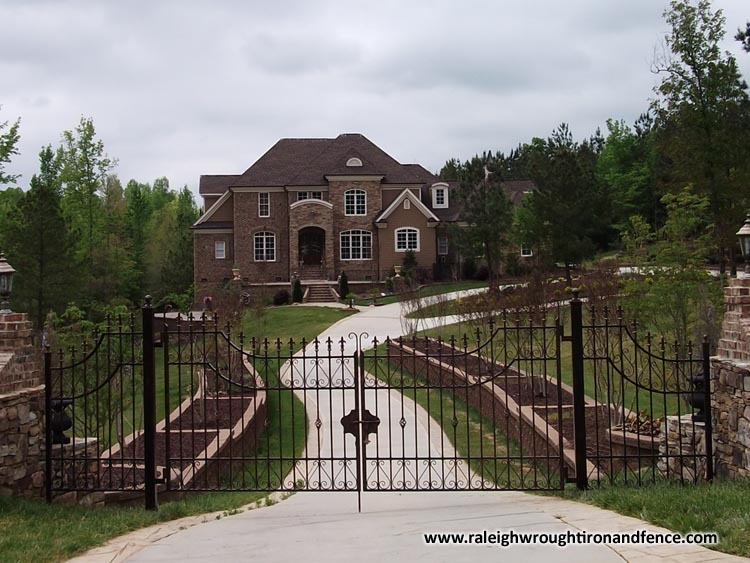 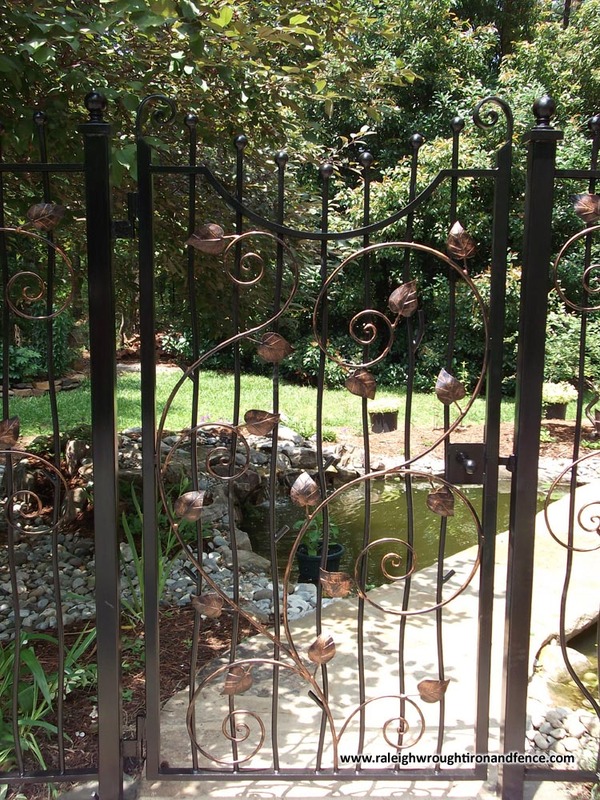 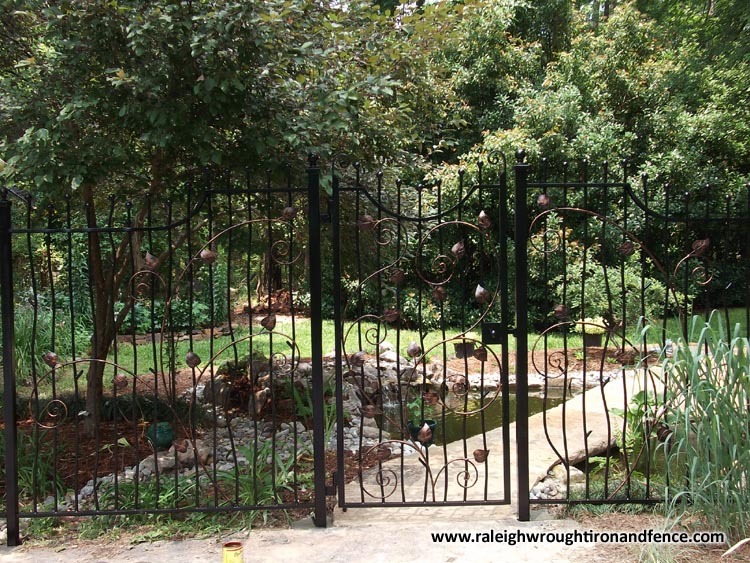 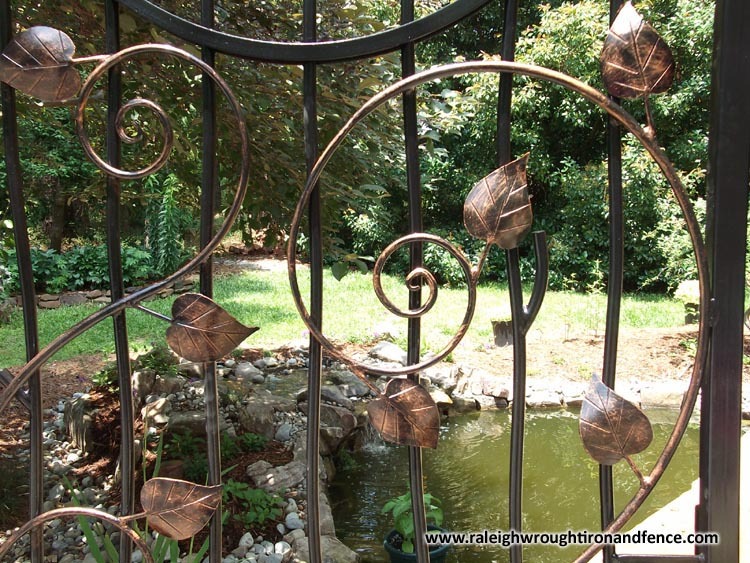 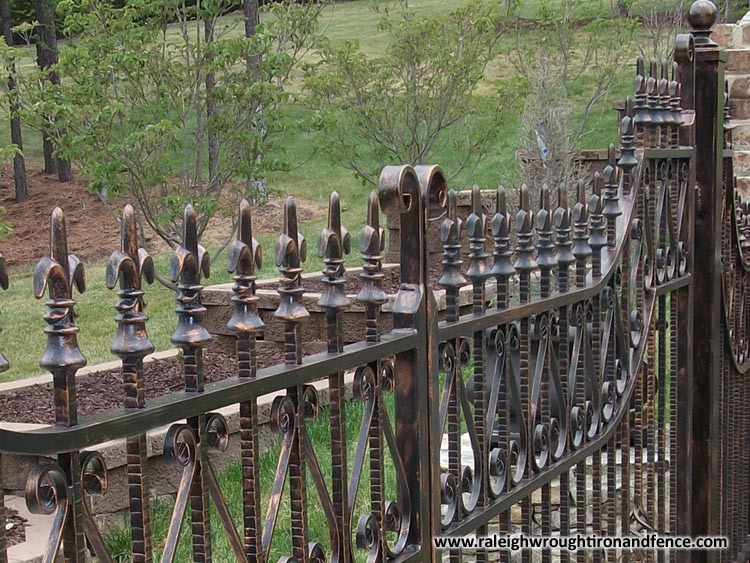 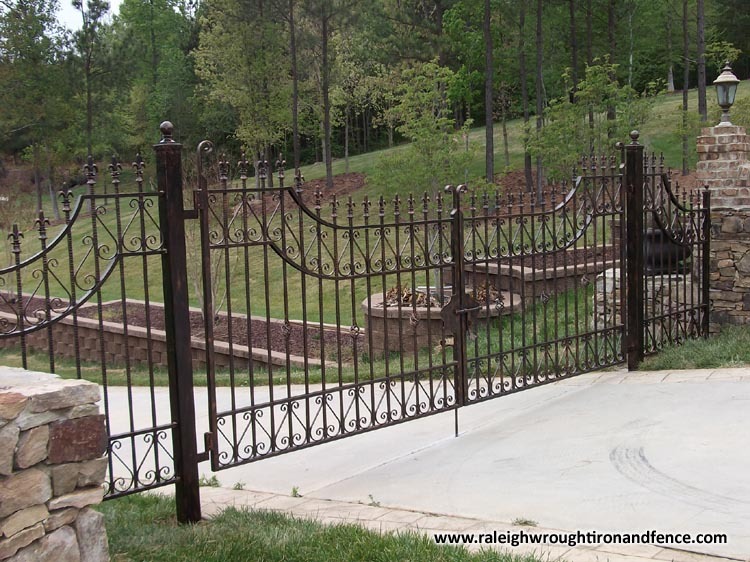 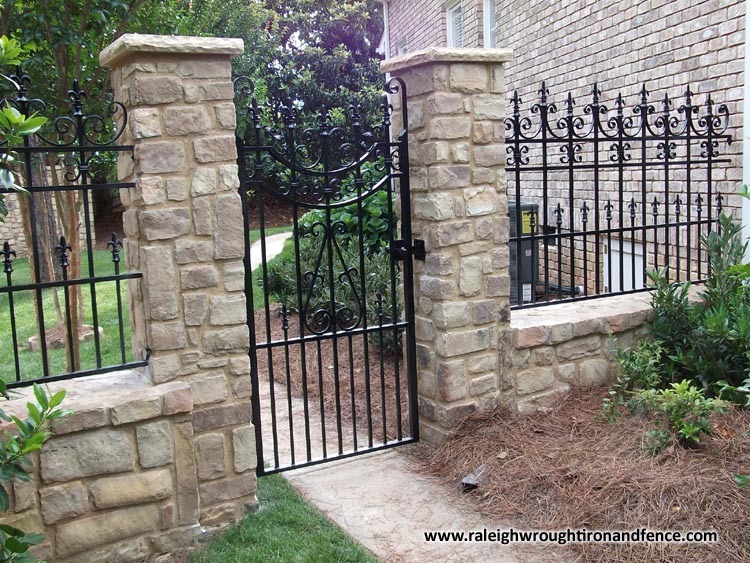 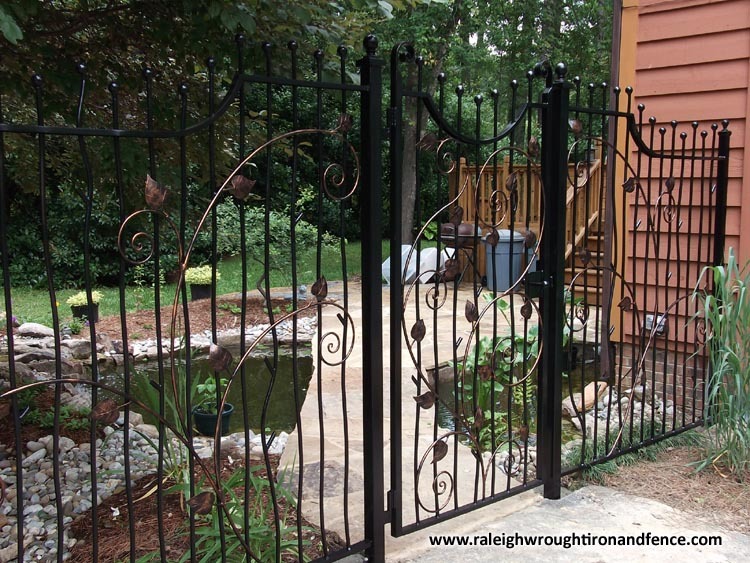 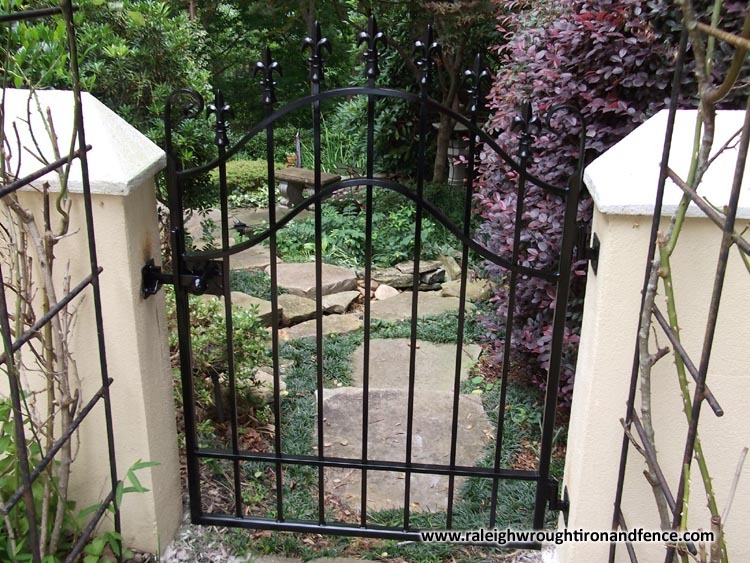 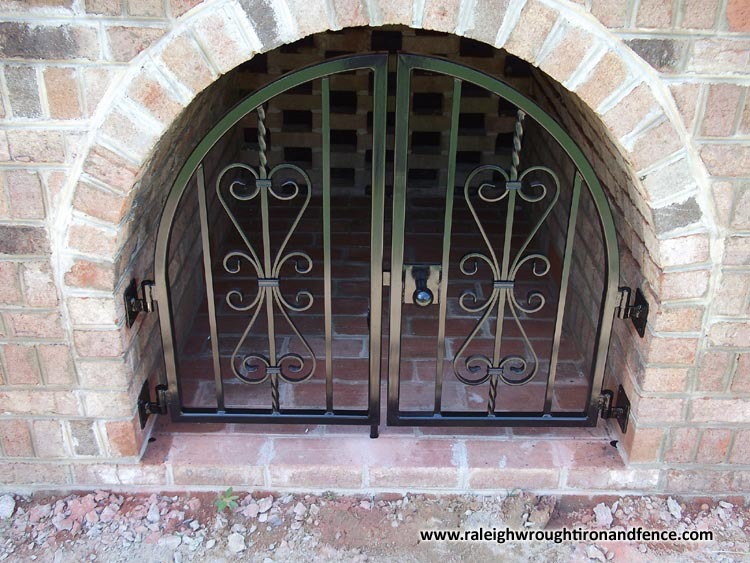 For more than 20 years Raleigh Wrought Iron and Fence Co. has been providing quality custom wrought iron gates in Raleigh, Durham, Chapel Hill, and the surrounding area. 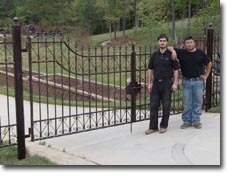 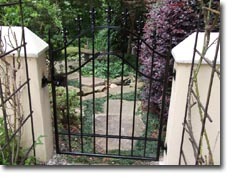 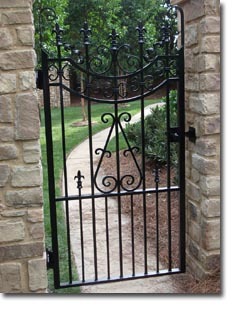 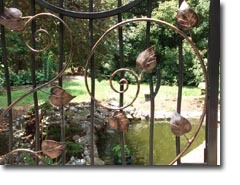 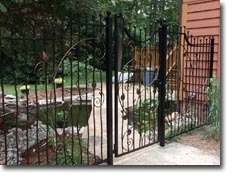 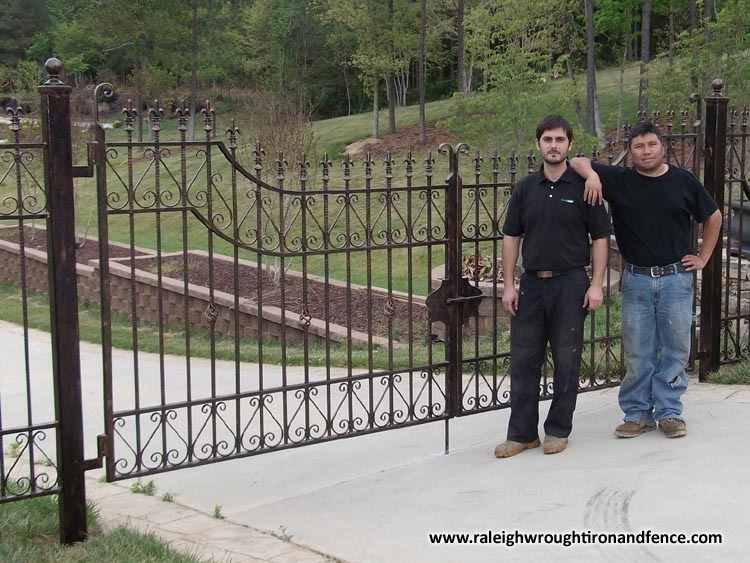 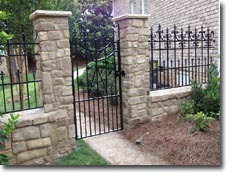 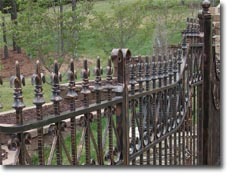 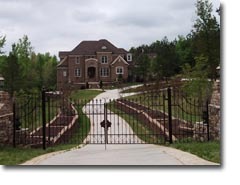 Our gates are produced at our facility in Raleigh and they are made from high quality wrought iron or aluminum. 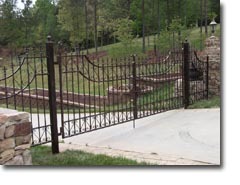 We custom design and make an outstanding and diverse array of gates from the simplest to the most intricate design, style, and shape. 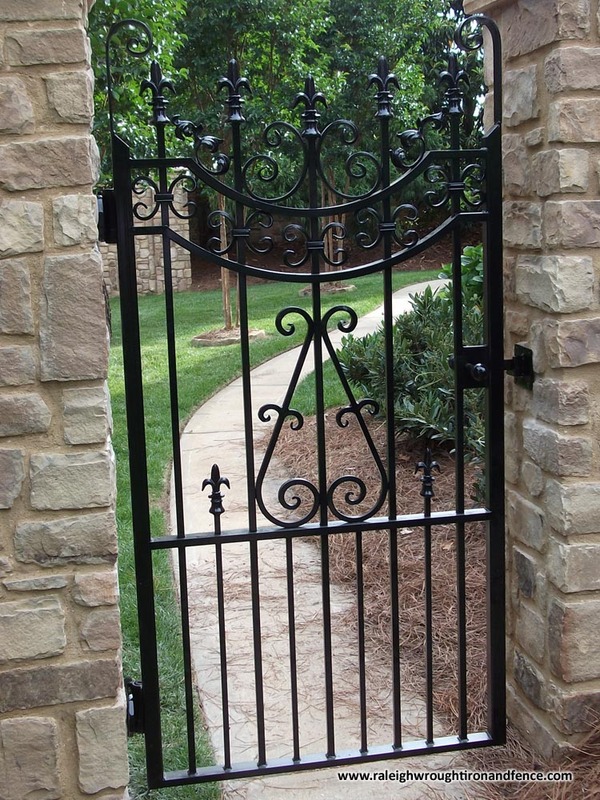 Whatever the design you choose, you will always get the highest quality gates that will complement any architectural style, adding beauty to your home or business. 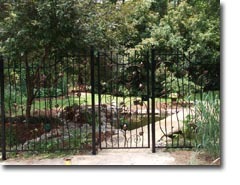 We manufacture garden gates, single or double entry gates, and driveway gates. 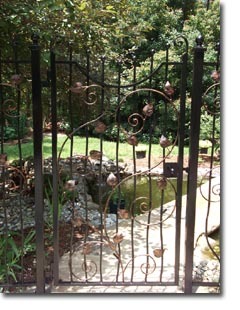 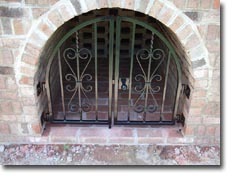 Let us design an entire wrought iron look for your property or simply bring your own drawings, sketches, or pictures.